PROFESSOR Aidan Moran ( author of “The Psychology of Concentration in Sports Performers” ) will be our Guest Speaker at the “Lawyers’ Business Development Club” in DUBLIN. Aidan Moran is the Professor of Cognitive Psychology at University College, Dublin. His more detailed profile is below. Professor Moran is one of the foremost experts in the field of mental imagery and concentration techniques will deliver what promises to be a fascinating lunchtime TALK to us. Professor Moran has also applied his knowledge in the real world of competitive sport, assisting many of Ireland’s top athletes and teams from Olympians to elite golfers ( including the three-time major winner : PADRAIG HARRINGTON ). “Concentration”, or the ability to focus on what is most important in any situation while ignoring distractions, is vital for successful performance in everyday life (e.g., in business, law, sport). But how can we learn to concentrate effectively ? In this TALK , Professor Moran will draw on his research findings and extensive consultancy experience to provide some practical concentration techniques that will help people to do their best when it matters most. Aidan Moran is Professor of Cognitive Psychology and Director of the Psychology Research Laboratory in University College, Dublin. He and his research team investigate the cognitive processes underlying expertise in skilled performance in sport and medical surgery using a combination of eye-tracking technology (see UCD Innovation video on his work ) and experimental measures of mental/motor imagery. A Fulbright Scholar, he has gained an international reputation for his research on concentration and mental imagery in sport performers. He has written/co-authored 15 books, 3 ebooks (in association with MindCool Productions) and is the inaugural Editor-in-Chief of the International Review of Sport and Exercise Psychology (IRSEP; Taylor and Francis, Oxford). He has published many scientific papers in high-impact, international journals in psychology (e.g., Journal of Applied Psychology), medicine (e.g., Annals of Surgery) and sport science (e.g., Exercise and Sports Sciences Reviews). Aidan has advised many of Ireland’s leading professional athletes (e.g., golfer Pádraig Harrington) and teams (e.g., the Irish rugby team) and is a former psychologist to the Irish Olympic Squad. He is a highly experienced radio and television broadcaster in psychology and is a regular speaker at academic conferences and corporate events in Ireland and abroad. This will be an exclusive Event with only a limited number of places available. It will be held in our stunning venue : The Stephen’s Green Hibernian Club. Time: 12.30 p.m. to 2.00 p.m. Cost: 20 euros (payable on the door). Registration for this Special and Exclusive Event will open on Friday, 11 April 2014. If you would like to be added to the “List of Interested Parties“, please drop me a line. I will then send you a reminder email on Friday 11, April 2014 to let you know that registration has opened. You can contact me on: ( colin@lawyersbdc.com ). If you are interested in joining the LINKEDIN GROUP for the “Lawyers’ Business Development Club” to keep up to date with Events in LONDON, DUBLIN and NEW YORK, you can click on this link and I will admit you to the Group. 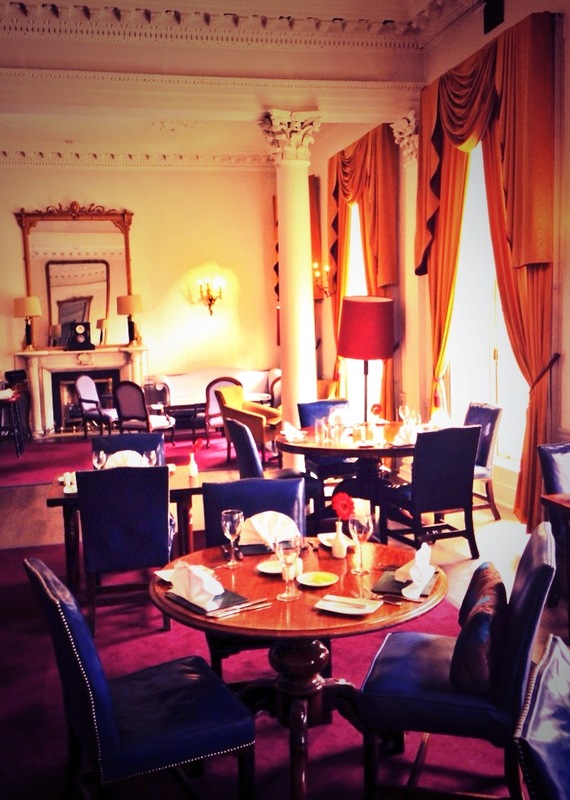 The venue will be the stunning Stephen’s Green Hibernian Club. Dr. EDDIE MURPHY is a Principal Clinical Psychologist working in the Health Service Executive (HSE) and in Private Practice. He is a dynamic Clinical Psychologist who is committed to providing professional psychology passionately and promoting successful outcomes for children, adults, families, communities and organisations. Dr. Eddie is the Expert Clinical Psychologist on the RTE’s Operation Transformation. He has extensive experience in the provision of medico-legal services in the following areas: Road Traffic Accidents, Victim Impact Reports, Work Based Accidents, On Duty Events – Gardai / Fire / Army / Prison, Abuse – Institutional / Sexual, Victim Impact Reports, & Medical Negligence. Dr. Eddie emigrated from Ireland in the 1980’s completing an undergraduate Psychology degree and masters in Health Psychology in City University, London. He returned to Ireland in 1997 and completed his Doctor of Psychological Science in Clinical Psychology at University College Dublin (UCD). Within this program Eddie worked in the Central Remedial Clinical, Crumlin Children’s Hospital, Mater Hospital, Ennis Community Mental Health Services, Limerick Brothers of Charity Services & the Institute of Psychiatry, London. In 2009 Dr. Eddie Murphy completed an MBA at the Smurfit School of Business, UCD. If you were free and interested in joining us at Dr. Eddie’s TALK, it would be great to see you. Please let me know if you would like me to keep you a place at this Special Event ? I look forward to seeing you on Thursday 10 April.